The past two years have not been great for women’s health, given the Trump administration’s attempts to scale back our access to health care at every opportunity. But now, with a record number of women serving in the 116th Congress — many of whom ran on a pro-choice platform — there’s renewed hope of not only maintaining our current reproductive health care rights, but potentially expanding them as well. 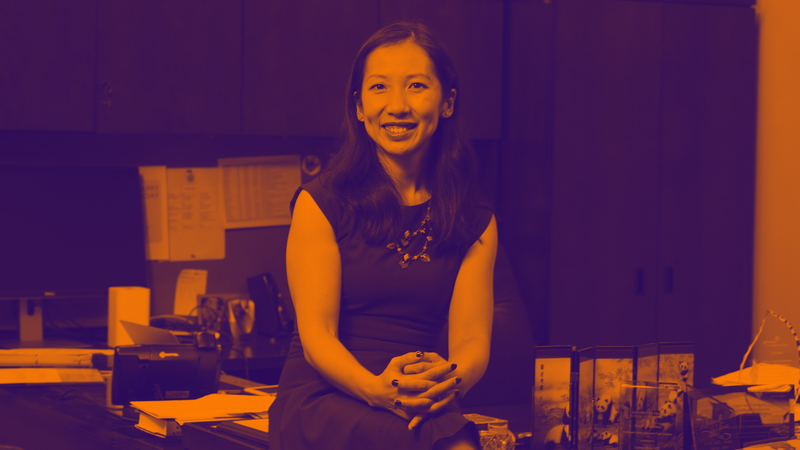 Another crucial voice in the conversation belongs to Dr. Leana Wen, president of the Planned Parenthood Action Fund. Given that this wave of new women in Congress was elected based on their pro-reproductive health stances, Wen tells SheKnows that she’s hopeful about what this new session can bring. Not only are more women serving than ever before, but they are diverse, including the first Muslim woman, first Native American woman and first Korean-American woman elected to Congress. And yes, this matters. In fact, CNN exit polls from the November 2018 election show a historic 20-point gender gap, with 73 percent of Latina women and 92 percent of Black women supporting Democratic candidates in House races, and Wen says that the results speak for themselves. According to Wen, the 116th Congress must fight back against the Trump-Pence administration’s anti-women, anti-health and anti-family policies, including providing crucial oversight to the administration, holding hearings to inform science and evidenced-based policy-making, as well as advancing proactive legislation to expand care and block attacks that harm the people they should be serving. This will include protecting crucial programs like Title X, the nation’s program for affordable birth control and other reproductive health care that annually serves 4 million women and families with low incomes — including 1.6 million patients via Planned Parenthood, she adds. Though many consider women’s health to be a political issue, Wen says that the 8,000 patients who walk through the doors of Planned Parenthood health centers every day aren’t making a political statement. Additionally, she points to the 73 percent of Americans — including a majority of Democrats, Independents and Republicans — who do not want to see Roe v. Wade overturned. Wen points to the results of the midterm election, where voters turned out to deliver decisive victories for reproductive health care across the country, including at the state level. At this point, we’re used to being told to remember to vote, contact our elected representatives and donate to organizations like Planned Parenthood to make sure our voices are heard. But is there anything else we can do beyond the usual requests? She adds that the Planned Parenthood voter outreach program reached millions of voters across the country through knocking on doors, phone calls and digital efforts during the midterm election. Not only that, but Wen says that it was clear that protecting health care was the top reason motivating voters to come out and elect pro-reproductive health champions to the House around the country.